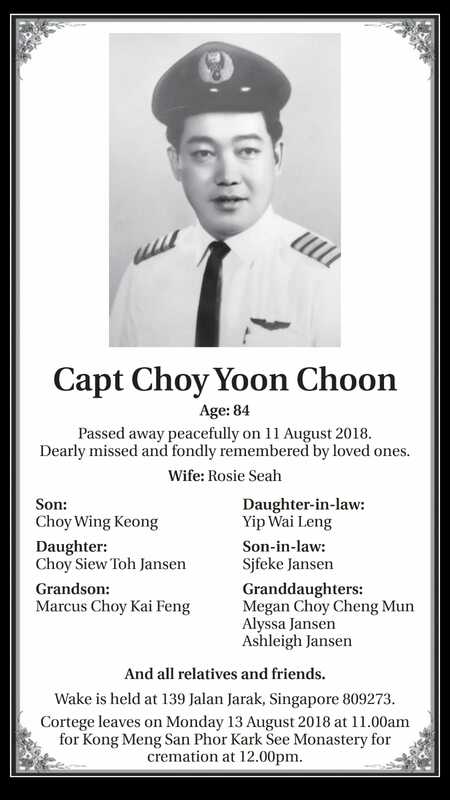 Good old Captain Choy, I used to fly with him in the 1970s & 80s. 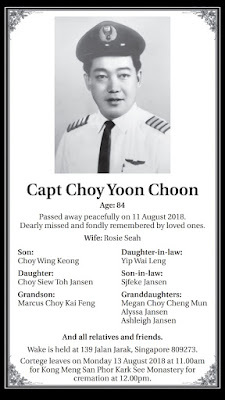 I've love flying with Captain Choy for he was a nice, humble and down-to-earth commander. RIP Captain Y.C. Choy, we'll certainly miss you 😥😪😰.